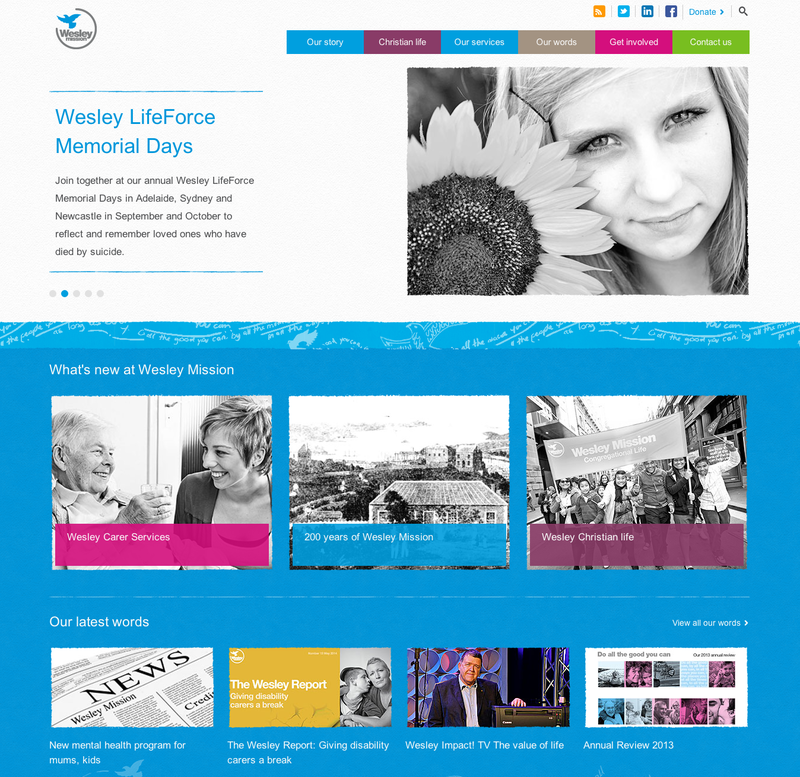 The team at Lash creative is behind the new website for Wesley Mission. Lash was in charge of handling the creative design and restructuring of the information hierarchy and user experience for the new website, a huge undertaking when having to reduce the vast amount of webpages to less than half. “The biggest challenge was to organise the huge amounts of content into a simple and intuitive structure to help not only the information architecture for the website, but also Wesley Mission’s internal web systems,” said Lash Creative’s managing director and founder, James Chung. With more than 130 programs, nearly 2,000 staff and almost 4,000 volunteers – in addition to strong Federal and NSW Government partnerships – Wesley Mission supports a broad range of people in the community, from children, youth, and families, to older people and carers, to people struggling with financial challenges, homelessness, addiction, employment or mental health issues.